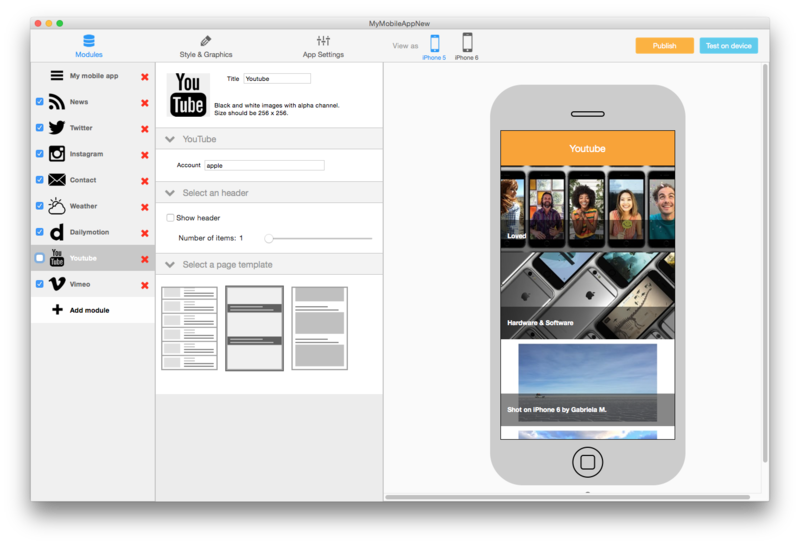 In the first version of TapPublisher, various video services were combined into one "Videos" module. In TapPublisher 2, we decided to dedicate a module for each service: YouTube, Dailymotion and Vimeo, to make use of our clearer editor. You can configure these three modules the same way, you just need to type the account name you want to use for the module. After configuring the module, it’s up to you to choose between three different display formats and add a header or not.